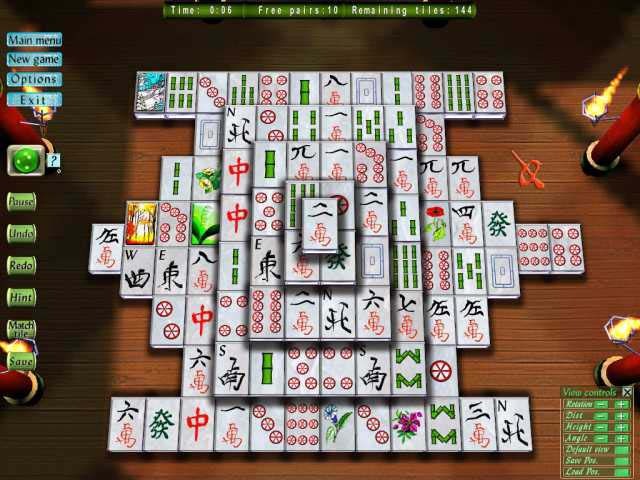 The game is perfect for both beginners and experienced mahjong players. You will be thrilled to bits by gorgeous full-screen display, amazing 3D graphics and relaxing ambient background music of this game. It will take you a split second to learn, but you will struggle to stop playing! 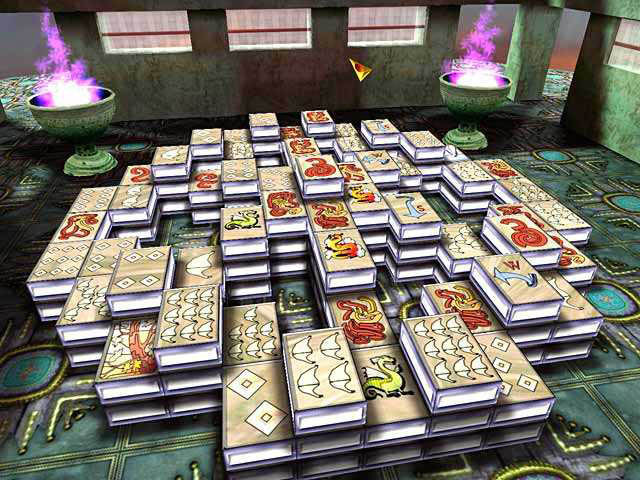 50 different magic mahjong puzzles in a mysterious ancient tower will keep you busy for a while. 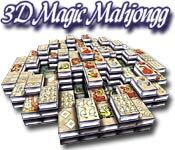 The goal of 3D MAGIC MAHJONG is to remove all the tiles by finding matching pairs. The game is won when all tiles are removed or lost if there are no more matching tiles. The game analysis feature allows you to check at each move if a layout is still solvable. Try to solve the game in the shortest time to enter your name in the high score list. Statistics for each board layout. 3D Magic Mahjongg game is shareware, this means you can download and play 3D Magic Mahjongg game for free during 1 hour trial period. After this period you have to buy the game for $6.99 or uninstall it. It works with Windows 98/XP/Vista. The presented 3D Magic Mahjongg game does not contain any spyware and/or advertise modules, allowing you to install it without worries concerning valuable information loss. Downloading 3D Magic Mahjongg game will take a few minutes if you use fast Cable/ADSL connection. Download 3D Magic Mahjongg game for free, play and enjoy it!